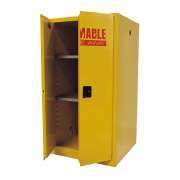 Metal Storage Cabinets: Shop From Our Great Selection! 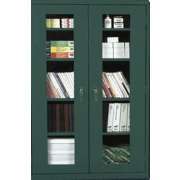 What kind of cabinets are good for multipurpose storage? 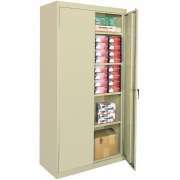 While there are lots of options, metal storage cabinets are definitely among the best. 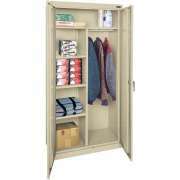 With a selection of sizes, colors and styles as well as great flexibility and adjustability, they are great for organizing just about anything. 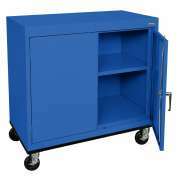 Whether you need to store cleaning supplies, classroom games or small electronic accessories, they offer a secure and organized space that can fit anywhere. 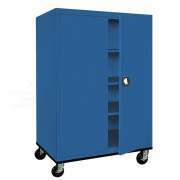 While other materials might look nice, nothing beats the strength and stability of steel storage cabinets for the long term. They are a wise investment because they can be repurposed at any time to store new things. Lots of great features fulfill your needs when it comes to mobility, lock options and configurations. 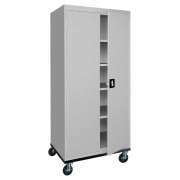 Can you put metal storage cabinets in a classroom? 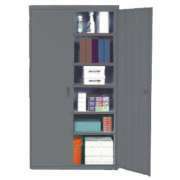 One great thing about steel storage cabinets is that they can fit in anywhere you need them. 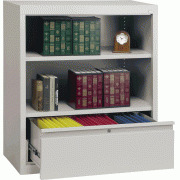 While you might think that they belong in a storage room, with Hertz Furniture’s selection of colors, they can be matched to the decor in your classroom or office so you don’t have to compromise on strength or aesthetics to get the storage you need. You can choose to add a new bright hue to your space or coordinate with a current color scheme. 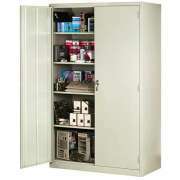 What should you look for in a storage cabinet? 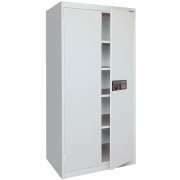 There are lots of things to consider when choosing a metal storage cabinet. The first and most obvious is the size. You want to make sure that your selection will fit in the space you have allotted and also accommodate whatever you want to fit in it. 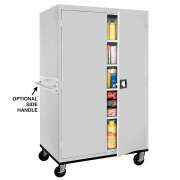 Another thing to think about is whether you plan on keeping your cabinet in one place or you prefer the flexibility of a mobile option. 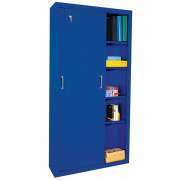 Additionally, it is important to ensure that the shelves have the requisite weight capacity to properly support what you need to put inside. 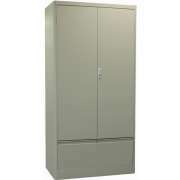 What kind of lock should I get on my metal storage cabinet? 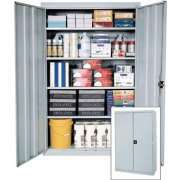 There are a few options when it comes to locks for industrial storage cabinets. Standard keyed locks are a classic choice. 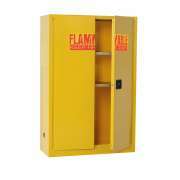 Depending on where the cabinet is and what’s inside, you can make sure that everyone who needs access has their own key or keep a key in a safe, designated spot where people can get it when they need it. Digital locks are an excellent option for those who don’t want to worry about keeping track of a key. They are also more secure because you don’t need to worry about a key getting stolen or copied without permission. 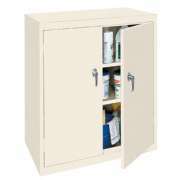 Even if you don’t plan on locking your metal storage cabinets, it is nice to have built-in locks in case you change your mind in the future. Since most models come with the lock, you might as well choose the kind that you like. Whether you are storing cleaning supplies, accessories or classroom materials, having a lock ensures that things will always stay put so you don’t have to worry about discovering that something is suddenly missing right when you need it.